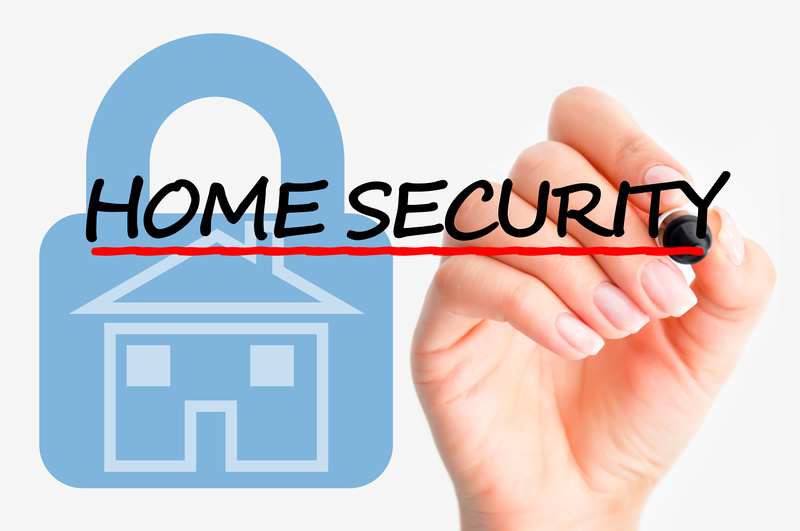 If you have been the victim of a home break-in, you know why a home security system is important. Burglars are usually looking for small, expensive items that can be easily pawned or resold. They are looking for cash, jewelry, credit cards, small art objects and other items. Burglars often want money for illegal drugs. Based on a court case in Seattle, a family’s home got broken into through a side door to the garage. He had picked the side door lock. He made a quick exit through the front door when the woman drove in her driveway. She was able to give the police a good description of the burglar who was later apprehended. He had conducted several daytime burglaries within this upscale Atlanta neighborhood. While they won’t walk off with your piano, burglars may steal a keyboard, guitar or other small instrument. Components for home entertainment systems, laptops, printers and other small electronics are also popular with burglars. A garage or tool shed can be a treasure trove for an experienced burglar who knows the value of tools, sporting equipment and other goods that are stored there. Knowing that someone has invaded your personal space is scary. If you have experienced a break-in, you probably felt violated, angry and frightened even if you were not home at the time. Most burglaries occur when no one is home. Thieves do not want to be confronted or caught. They want easy entry and exit. But there are burglars who break in during the night when people are sleeping. They are careful and experienced at moving quietly through a house. They know how to pick locks and climb in windows. A car thief may search the house for car keys and the remote control to unlock the homeowner’s vehicle without tripping its alarm. A crowbar can break garage and outbuilding locks while the home’s occupants are asleep. Most homeowners have insurance that will compensate them for damages and loss due to theft. Apartment renters can also buy personal property insurance protection. But insurance rates can increase after a claim is filed. All victims of home robberies agree that a good security system is the best deterrent to a burglary. There are a variety of security systems available for homes, apartments and condominiums. The newest technology includes a wireless system that allows you to monitor your home from anywhere with your smart phone or mobile device with a computer connection. You can set the alarm security system from a remote location if you forgot to set it before you left home. Energy efficient wireless systems use motion sensors and cameras connected to a computer router. The components are easy to install without wires running through your home that can be tripped by animals or heavy weather. The systems offered by Actio Security can be placed anywhere inside and outside of the home, including driveways, garages, pools and storage areas. We have systems that will work with apartments and condos. Contact us at Actio Security, serving the Greater Atlanta area since 1969, for more information on home security systems that will keep your home and your family safe from intruders.